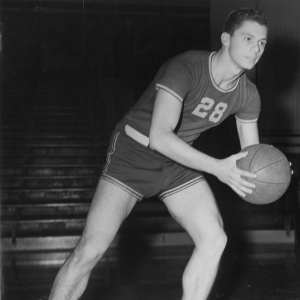 Larry Friedman was the Co-Captain and leading scorer of the 1948-1949 Central High School basketball team that went to the Public League Playoffs. Larry was selected First Team All-Public. At Muhlenberg College from 1951-1954, Larry played Varsity Basketball, and was the first player to be named Most Valuable Player for three consecutive years. He was the leading scorer of the team, as well as the leader in assists in all three years. He became Co-Captain of the team, and was elected to Who’s Who in American Colleges and Universities. He has been honored by his induction into Muhlenberg College’s Athletic Hall of Fame. After college, Larry went on to play basketball for the US Army on the Fort Monroe team, where he led the team to the Second Army Basketball Tournament. He was the leader in scoring and assists of the company championship team. After his tour in the army, Larry graduated from Temple University Law School. He practiced law in Philadelphia for over 45 years. Larry also played in the Brith Sholom Basketball League, where he was the leading scorer and led his team to the league championship.